The statistic presents the annual operating profit of Netmarble Games from 2015 to 2017. 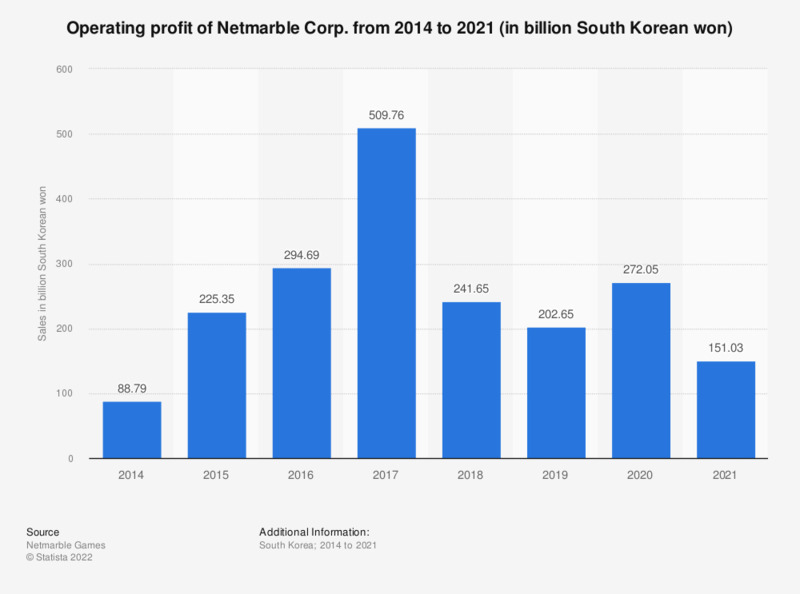 In 2017, Netmarble's operating profit amounted to approximately 295.4 billion South Korean won, remained the same as previous year. Netmarble is a South Korean game publisher well known for its products such as Seven Knights, Raven (Evilbane in the U.S.) and Everybody's Marble.